Before they get to work on reforming the U.S. Department of Veterans Affairs, Congress and the White House might want to take a closer look at the last time they tried it — a $16 billion fix called the Veterans Choice and Accountability Act of 2014, designed to get veterans medical care more quickly. NPR and local member stations have been following that money, including the $10 billion for vets to get care outside the VA system. The Choice Act also channeled about $2.5 billion for hiring more doctors, nurses and other medical staff at VA medical centers. The goal of the hiring money was to address a simple math problem. The number of veterans coming to the VA has shot up in recent years, and the number of medical staff has not kept pace. The idea was that more caregivers would cut wait times. But an investigation by NPR and local member stations found that: the VA has about the same number of new hires as the VA would have been projected to hire without the additional $2.5 billion; the new hires weren't sent to VA hospitals with the longest wait times; and the VA medical centers that got new hires were not more likely to see improved wait times. San Diego's experience is typical. The Southern California city is home to one of the largest concentrations of post-9/11 veterans, and when the Veterans Choice Act passed, the San Diego VA had some of the country's worst wait times for mental health care in particular. The act was meant to help former soldiers like Charlie Grijalva, who was diagnosed with PTSD when he was still in the Army. Back in 2014, Grijalva lived with his wife, Gloria, in Imperial Valley -- about two hours from the VA hospital in San Diego. After spending 18 months deployed in Afghanistan, and a year in Iraq, he started having suicidal thoughts. The VA tried to help him. Early in 2014, the doctors there seemed to get his prescription right. By summer, his psychiatrist had left the VA, but Grijalva was transferred to a nurse practitioner. He missed an appointment in September 2014, according to records provided by the VA, but the new provider agreed to refill his prescription over the phone. Because San Diego's wait times were so long, under the new Choice program, Grijalva qualified to see a private doctor outside the VA system. He had an initial consultation with the private psychiatrist near his home, but he didn't live to begin treatment. In December 2014, his medication ran out. Grijalva had a young family and a new baby on the way. His wife said he insisted on giving his kids a magical Christmas. "He said, you know, 'I want to do what I did as a kid,'" Gloria Grijalva said. "Play some Christmas music. Have the kids decorate the tree, drink hot chocolate. ... Even though he was feeling the way he was, he wanted to have that kind of Christmas for his kids." It wasn't to be. A few days before Christmas, his wife found him. He had hanged himself a few hours after he texted her, "I love you." "He has told me when he was at his lowest that [he] 'didn't want my kids to see me like this; I don't want to put my kids through this,' " she said. His VA records show Grijalva went to one last appointment at the VA in San Diego, scheduled in December. His medication arrived just before his death. Around the time of his death, the VA was just beginning to implement the Veterans Choice Act. San Diego seemed like a prime candidate to get extra staff. But the NPR and local member station analysis of the VA's own data show that San Diego got far fewer new staff members than it requested, and also fewer than many other VA centers that didn't have such bad wait times. The VA data show no logical pattern for distributing the 12,000 doctors, nurses and other medical staff hired under the Choice Act. 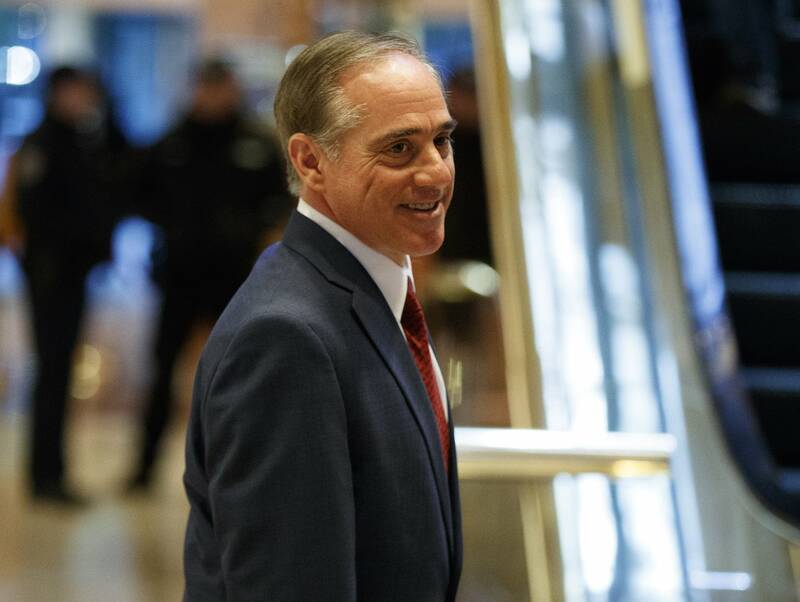 David Shulkin became head of the Veterans Health Administration after that law passed, but has been overseeing the reform since 2015. Last fall, he told NPR that the Choice hires were based on a survey of VA medical centers. "Our goal is to get [the medical centers] the health professionals that they need. So that's the Choice money. We wanted everybody to go out and execute on it, and to use that money as quickly as possible because we have a sense of crisis," said Shulkin, who has been nominated to become secretary of the Department of Veterans Affairs. His confirmation hearing is expected this week. He also said the VA focused on places where the staff was most needed. 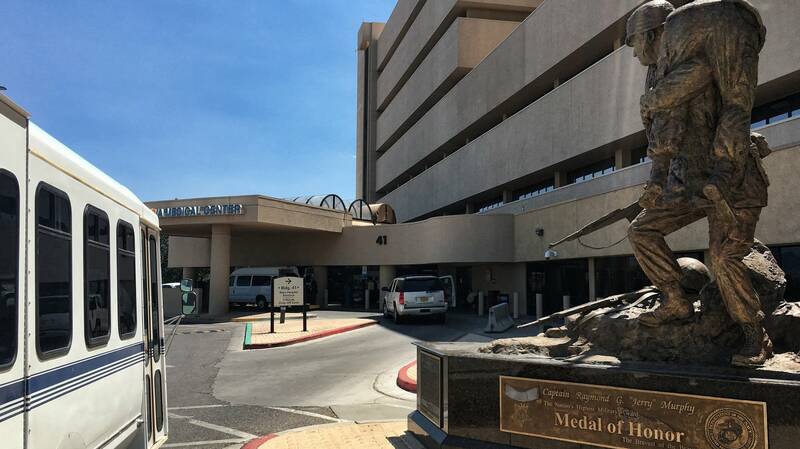 Thirty-three medical centers were "prioritized" among the VA's 168 hospitals. But the VA data show that prioritized medical centers didn't always get more resources than others. Los Angeles was prioritized and got only about 108 new hires from the Choice money. Dallas, a similarly large center, got almost three times as many (298), even though Dallas was not "prioritized" and didn't have particularly bad wait times. Albuquerque, N.M., and Cincinnati have about the same volume of appointments. But Albuquerque had among the worst wait times in the country for mental health, while Cincinnati was among the best. The VA's data show both received the same number of psychiatrists from the Choice money. Wait times across the board have not come down, though the VA says that's because of a continuing surge in demand from patients. And Shulkin stressed that wait times are not the most important measure of health care. He says efficiency is up and the number of veterans waiting for urgent care has shrunk from tens of thousands to a mere dozen or two. Still, it was the long wait times — and the harm they did to veterans — that drove Congress to pass the Choice Act. Doctors and nurses are scarce nationwide. In the economic centers where many vets live, medical professionals often find better offers at private hospitals. And in rural or remote areas, there often are very few doctors or nurses available to work at either VA or private hospitals. Shulkin knows that his hiring process is cumbersome. "The complexity of hiring puts us at a disadvantage with the private sector. We are very fortunate that people wait and turn down private sector jobs because this is where they want to work and this is the mission ... but frankly we have to be competitive," he told NPR last fall. Shulkin came to the VA from the private sector, he said, to get the department in step with best practices. He has succeeded in getting some salaries up to private-sector levels. But the roughly $2.5 billion from the Choice Act resulted in a net gain of only a few thousand doctors and nurses, across a system that serves about 9 million veterans. That's partly because the VA's process is so slow that about 13 percent of candidates drop out during the months-long lag time after they are hired. NPR and local member stations spoke with more than half a dozen current VA employees about this problem, but none agreed to be quoted. Almetta Pitts is a former VA employee who used to work at the VA in Seattle. Waiting to start that job nearly left her broke. "It took about six months. And so I had to think about ways to just put my money together to be able to really be able to pursue this job," she said. Pitts liked the VA. She interned at the VA in Seattle while pursuing her master's in social work. Her mother, an Army vet, was already working there as a federal police officer. After a series of interviews, Pitts was notified she had been hired. "I received my acceptance letter and it did inform me that I started that September and I was like 'Oh my gosh, I'm so excited,' but ... 'Wow, it's like May.' "
During the four months of waiting, Pitts moved back in with her mom to save money until the job started. She ended up working for the VA for 13 months and was laid off. At the time, Human Resources offered to help find another job at a VA out of state. 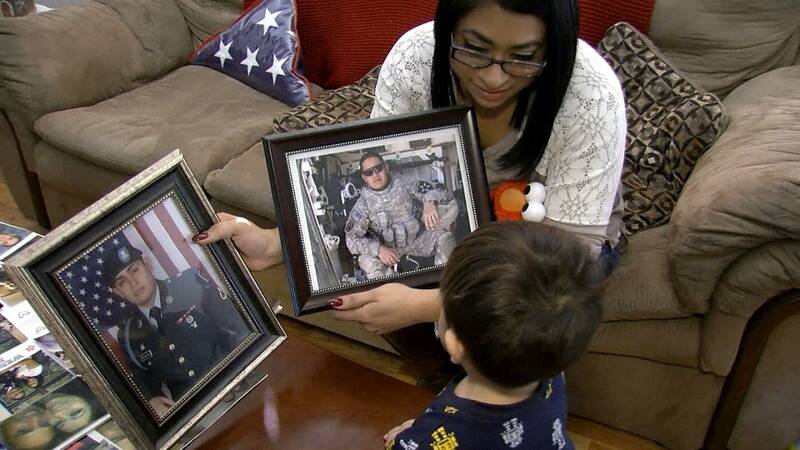 She loved her work helping traumatized veterans, but Pitts decided she had to move on. Another reason the $2.5 billion bump didn't seem to raise the VA's staffing levels may have more to do with Washington bureaucracy than health care. NPR found that the rate of increase in VA staff after the Choice money was not noticeably different than past years without it. The Choice hiring money from Congress mostly replaced, instead of augmented the VA's normal hiring budget, which freed up less restricted money to take care of other needs. Shulkin defends how the money was spent. "When you're given a budget you face a number of new stresses on those resources. You have increases in pharmaceuticals, you have your wage increase, you have your leasing cost increases, you have IT increases. So without the Choice money, we would not have been able to have maintained the type of hiring that we were doing and expanded the type of hiring we were doing," Shulkin told NPR in December. This sort of budgeting strategy is common in Washington, according to Phil Carter, of the Center for New American Security. "It makes complete sense for a self-interested bureaucracy to hire with that money first. I think VA hired staff with this money will all intention of improving access and quality. I think the VA leadership found it harder to do that," he said. Carter says that the VA has a difficult time projecting what needs it will have across a system of 168 hospitals nationwide, and that the VA may just have been hiring at its maximum capacity in a tough market. "But I don't see malice here, just the basic inefficacy of American bureaucracy," Carter said. But some Republicans in Congress do see something more malicious — a shell game to free up money from congressional restrictions. A spokesman for the House Committee on Veterans Affairs said: "It was a money grab, with no plan on where to put people and VA used the funds to fill existing vacancies for the most part." NPR's Juan Elosua contributed to this story. This story is part of a project we're calling "Back at Base," in which NPR — along with public radio stations around the country -- is chronicling the lives of America's troops where they live.